Bessie Smith, the Empress of the Blues. From Jazzmen, 1938. The time has come once again to honor the Empress of the Blues, Bessie Smith. I’ve already covered her life in some detail previously, so this post is dedicated to her famous last session. Bessie Smith’s career flourished throughout the roaring twenties, but was hampered by the onset of the Great Depression. 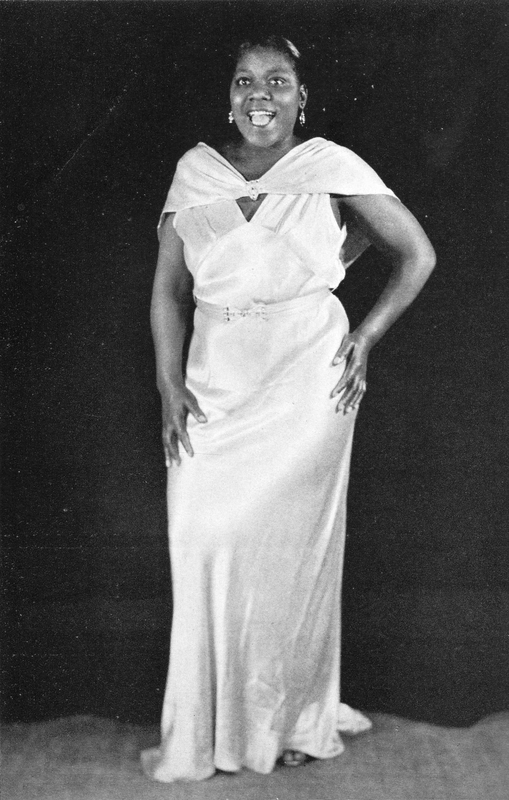 Bessie made her final recordings for the Columbia label—for whom she had recorded since her debut in 1923—near the end of 1931, as the economy continued to dive. After two years spent touring, record producer John Hammond brought her back to the studio for a session with Okeh (a subsidiary of Columbia since 1926). For this session, Smith was paid a non-royalty sum of $37.50 (equivalent to around $690 dollars today). With an all-star band led by pianist Buck Washington (best known as half of the popular vaudeville duo Buck and Bubbles) assembled to accompany her, the four sides cut at that session helped bring her style into the burgeoning era of swing. That lone Okeh session, however, proved to be her last. Smith made no further recordings between then and her fatal car accident four years later, and in that period of time faded into obscurity; by 1936 she was working as a hostess in a Philadelphia club. Okeh 6893 was recorded on November 24, 1933 in New York City. It was originally issued on Okeh 8949, this reissue dates to 1952. In the band accompanying Bessie is the almost legendary lineup of Frank Newton on trumpet, Jack Teagarden on trombone, Chu Berry on tenor sax, Buck Washington on piano, Bobby Johnson on guitar, and Billy Taylor on string bass. Benny Goodman was recording in an adjoining studio that day, and sat in for this session, but I’m not sure if he can be heard on these two sides. The songs on both sides were composed by Wesley “Socks” Wilson. First up, Bessie is at her all-time best on the legendary “Gimme a Pigfoot”. 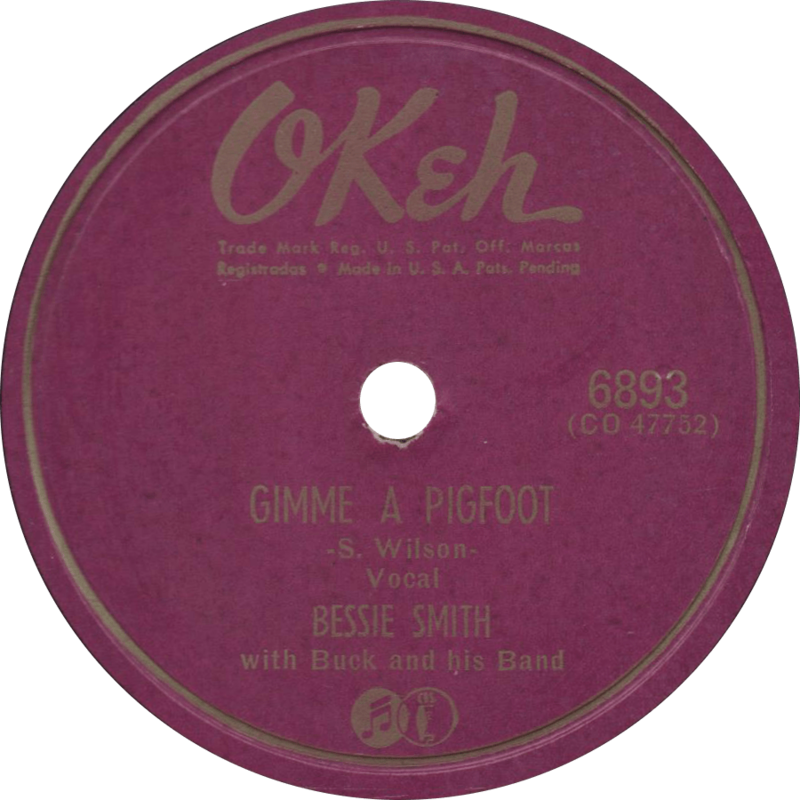 Gimme a Pigfoot, recorded November 24, 1933 by Bessie Smith with Buck and his Band. Next, she gives another great performance on the classic “Take Me For a Buggy Ride”. 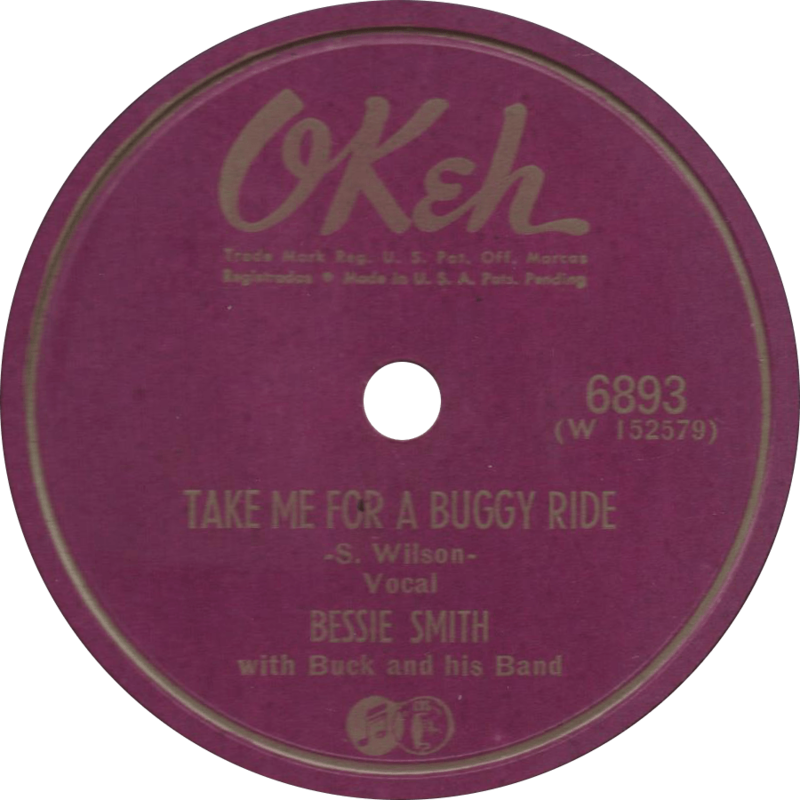 Take Me For a Buggy Ride, recorded November 24, 1933 by Bessie Smith with Buck and his Band. Updated with improved audio on October 20, 2017.